I have long claimed that the banking in China is relatively antediluvian. At my most cynical I think there is a very clever mandarin ensuring that the banking stays based in paper—and using minimal electronics—so as to be an effective brake on the economy and therefore a good thing. Essays gladly received in the style of Thinking Allowed with Laurie Taylor (BBC Radio 4, 2004-2009). A trip in Xi’an early in my sojourn here gives a decent example. I went with my landlord, who was feeling generous at the time, to sort out details of my bank account, among which was the annoyance at being called David Julian but not Scoins. Vincent sorted this out in short order but I felt he had had to be very direct in what he said since the cashier needed an extended lecture (hector?) about uses of names – without quite being called names. Most transactions by me involved moving money in and out, generating cash and (mostly) updating my bank book – which stopped once I discovered how to use the ATM for such a service, though that process took nine months to clarify. My colleagues were sending money home, a significant trial and best done in helpful company or in groups so that the bank tellers would guess that all were chasing the same service. On one such occasion I was, by chance, in the bank with two such colleagues. We had collected our service tally number and were waiting in the seating area for our turn at the counter – a counter at which one sits. Typically there are 12 such counters and on a Saturday afternoon there may be eight open, two for business users, one for foreign transactions and the others for personal banking or general access. The set-up is much as banks in Europe, perhaps a little sparser and with, in general, more space for the customer (because there are so many). I noticed an elderly lady (an early wrinkly) go to a counter. Side issue here: Bear in mind that, while we are queuing, the habit for people with a brief enquiry is to ignore all queues and interrupt. This means that the security of conversation you would expect—that which largely disappeared when bank theft caused the Perspex sheeting to appear across the counter—is mostly non-existent. Since the more you are concentrating, the less likely you are to be aware of an approaching intruder, the interruptions are at their most unwelcome when you are working the hardest. 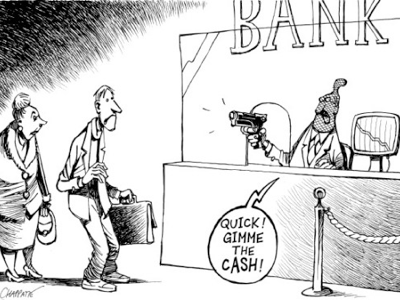 This makes your reaction liable to be rage or something similar; bank rage. The elderly lady had a little business to transact: she did most of it, but the end of the transaction did not yield what she expected and—I was observing from probably 20 metres away—she became steadily louder. Now the bank is one of the few places where Chinese speak fairly quietly, so a raised voice was soon noticed and in short order she had a crowd around her. That is in the nature of this country; the instinct is to add yourself to a crowd. Very soon there are a dozen people standing in a semicircle around the old dear and three or so behind the teller. As the noise level rises, so the tension does to and at some point a security guard whisks her away and out of the building. He did it so very slickly that I missed the detail. So to my visit this week. Two of us had transactions; my Irish colleague was going to Europe to search for staff and wished to change RMB to Euros, and I wished to pay some money into the account of a friend in China outside the province. On entry to the bank we must talk to a presiding front person, so, in the small foyer where we have probably 20 people within as many feet, we must declare our business in sufficient detail to be pointed at the appropriate counter. As foreigners moving significant sums, we are sent to the ‘wealth management’ section. I have been before, but knowing where to go does not prevent the demand to know our business. So at the point when we are ushered in the right direction probably five of the proximate twenty have had a very good chance to know what our business is. The thin but pretty floor walker is in and out of the secure area much of the time (she passed through the security barrier twice each way in the time I watched) and has her nose into everything, possibly channelling the usual interrupters away from interruption but in turn providing many of those interruptions herself. The Wealth Management area was well appointed, providing sets of comfy armchairs for use while waiting to be served at a single counter. Rooms off this area, much as we would expect to use for consultations in Britain, lay unused. My colleague was working through her business, assisted by our Chinese co-ordinator (Girl Friday) and interrupted at least three times by the floor-walker, who passed unknown bits of paper to the teller. The single other customer in this area left rapidly after we had had our business discussed oh-so-very loudly in this space, leaving me very suspicious that we were to be similarly insecure on departure. The security was pathetic, not from a construction point of view but from practice: there are (fire and security) doors to the space, but they are kept open – when their principal functional purpose is to provide aural security; the traffic created by the floor-walking slip ensures that ‘other’ traffic would be easy and the noise level of the conversations ensures that nothing is private. I could easily hear every word from where I was sat. The nature of wealth management is that largish sums will be moved—a 1000 euros is several week’s pay to a Chinese and I was moving a sum equivalent to several years’ salary—and was offered the option to walk it between banks. The forms to fill in required several attempts and a bin was conveniently provided, on the ‘open’, insecure side of the partition. It would be a trivial thing to raid that bin and collect many items of data (amounting to opportunity) while remaining unnoticed. The transactions were left public and easily observed and overheard; I repeat, security was farcical. I will, no doubt, add to this growing litany of aggravations. I cannot help adding Thoroughly Useless as a prefix to The Bank of China (tTUBoC). I moved more money within Europe, without leaving my desk in China, that very morning, in some ten minutes stolen before breakfast – with far greater security, thanks to internet banking. I can repeat the same transaction between accounts in Britain from that same desk. In China I cannot do an equivalent without providing my complete bank details (book and card required), without surrendering my passport and also writing an essay under instruction, pawning my daughter and cleaning the bank carpet with a tongue and a toothbrush. Or so it seems. In 2012 I can do limited transactions in Qingdao, less limited than they were in Guangdong. tTUBoC denies access from a Mac and its (PC) internet security remains poor. HSBC does far better. I cannot move money outwards across a border, but I can use an ATM and debit card (called a credit card, but not). Apart from HSBC, all banking is best done at the branch, as far as I can tell.